MARINAL works in the respect of constructions as governed by the publications of the ITBTP (Technical Institute of the Building Industry and Civil Engineering), the DTU (Unified Technical Document), the good working practices and the CSTB (scientific and technical centre of construction) and BAEL (reinforced concrete at limit states) standards. The ITBTP is the Technical Institute of the Building Industry and Civil Engineering which rules on the construction standards specifications for civil engineering works, and by extension, for the reinforced concrete swimming pools. The DTU (Unified Technical Document) gathers together technical specifications. It is written by the General Commission of Standardization of the Building Industry to normalize the rules of civil constructions. The CSTB (Scientific Centre of the Building Industry techniques) is a public organisation in charge of giving a technical opinion on the analysis of the manufacturing methods which are submitted to it. The BAEL (reinforced concrete at limit states) standard rules the use of concrete in any type of construction. At the beginning, the BAEL standard was created to regulate the construction of bridges and water towers. It was then extended to the construction of reinforced concrete swimming pools to regulate the pools resistance to water pressure. 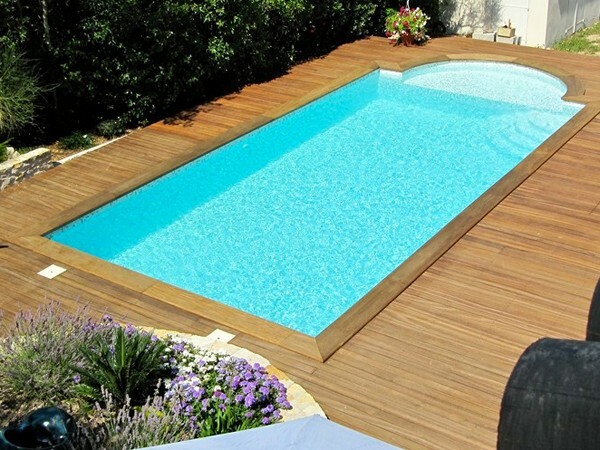 The installers of MARINAL swimming pools have the ten-year insurances and warranties for swimming pools builders and installers. The valid insurances certificates are provided to the customer at the beginning of his project. 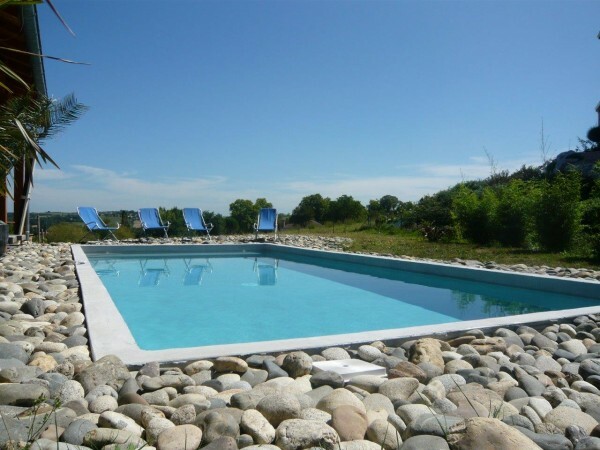 MARINAL also covers its concrete swimming pools constructions with a completion guarantee. Warning: The beginning of the works, and then the use of your swimming pool, oblige you to re-evaluate your liability insurance contract. 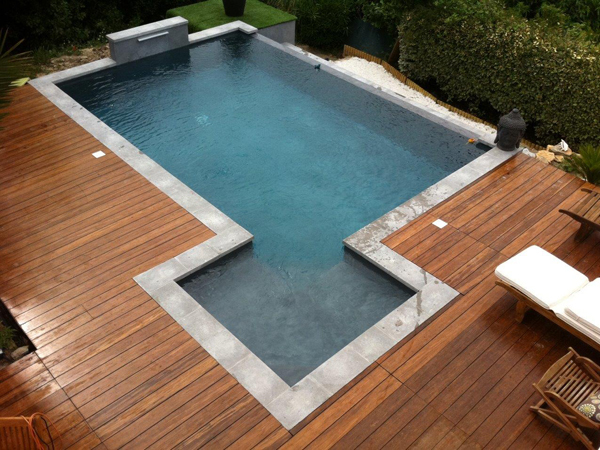 The manufacturing method of the reinforced concrete MARINAL swimming pools is unrivalled and protected by patents. The construction method is borrowed from the construction of hydro dams (civil engineering) and adapted to swimming pools. MARINAL received the Swimming Pool Manufacturer and Installer Innovation Trophy twice, for its technological advances, at the World Swimming Pool Show. 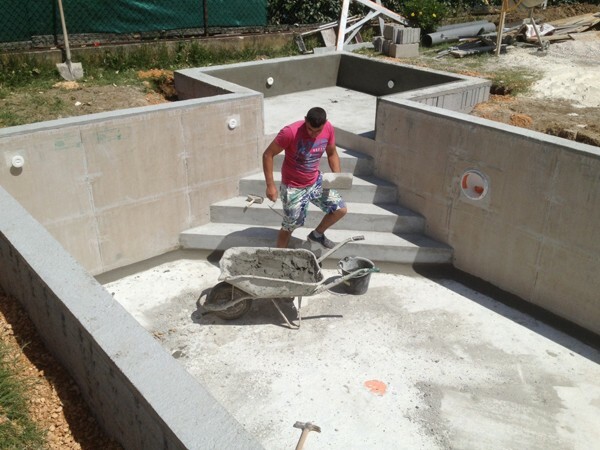 No subcontractor is engaged for the construction of our reinforced concrete swimming pools. MARINAL engages its full and whole responsibility in its constructions. Our one-piece reinforced concrete swimming pools cannot become cracked and are not deformable. Our quotes are detailed and we openly communicate on our prices so that our customers know the parts of the budget assigned to materials and workforce.